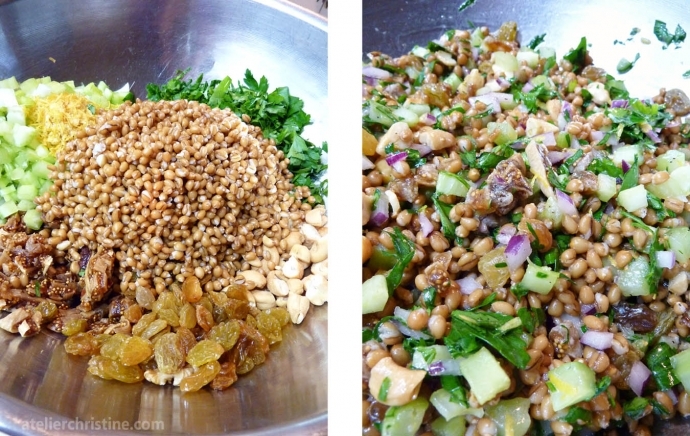 Prepare wheat berries. Bring a large pot of salted water to a boil, add wheat berries, bring back to a boil once more and simmer uncovered on low 45-to-90 minutes until tender. The grains should have a chewy texture and a nutty flavor. Drain; set aside. Prepare beets. Roast beets in a preheated 400F oven until a knife glides easily in-an-out; about 50-to-90 minutes. Cool before you remove foil, trim edges and rub skin off and then cut into cubes; set aside. Prepare vinaigrette. Combine first five ingredients in a small bowl. Slowly drizzle in olive oil as you whisk until emulsified into the dressing. Season with salt and pepper; set aside. Assemble salad. Combine wheat berries, beets, onion and almonds in a bowl and gently toss with dressing. Chill 45-to-90 minutes to allow flavors to blend. Add watercress; chill another 30 minutes or so. Top with goat cheese and serve. Combine ingredients in a bowl and toss to mix as you adjust flavors; serve immediately. Whisk dressing ingredients in a small bowl and adjust flavors to your liking. 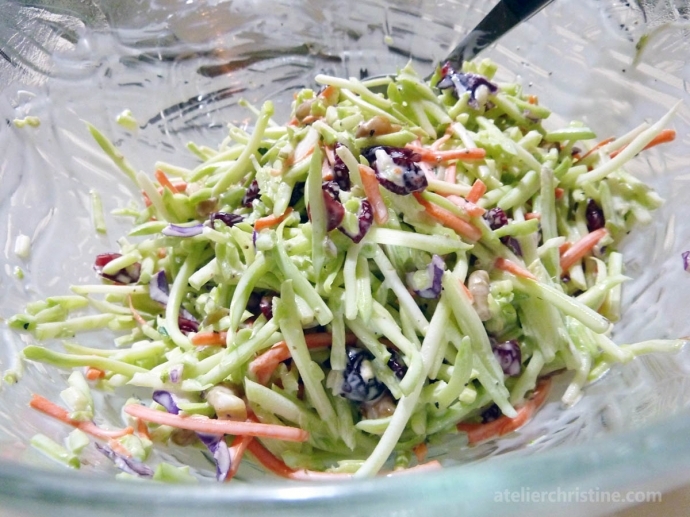 Combine slaw ingredients in a large bowl, toss in dressing, cover, and refrigerate at least 2 hours before serving. Process the marjoram with garlic, salt, coriander, cinnamon, cumin and 2 tablespoons olive oil. Toss with squash and pumpkin wedges. Preheat oven to 350°F. Arrange wedges on a parchment lined baking sheet (I use Reynolds foil release) in a single layer. Cover tightly with foil and bake 20-30 min until almost tender. Uncover, increase oven temperature to 400°F and bake for about 25 minutes until lightly browned and crispy on the outside. Cool slightly. Transfer wedges into a bowl and toss with 1 tablespoon olive oil, 2 tablespoons lemon juice, salt and pepper. Arrange a third of the salad on a serving bowl. To the bowl with the remaining salad, add arugula, watercress, salt and the remaining 1 tablespoon of olive oil and lemon juice. 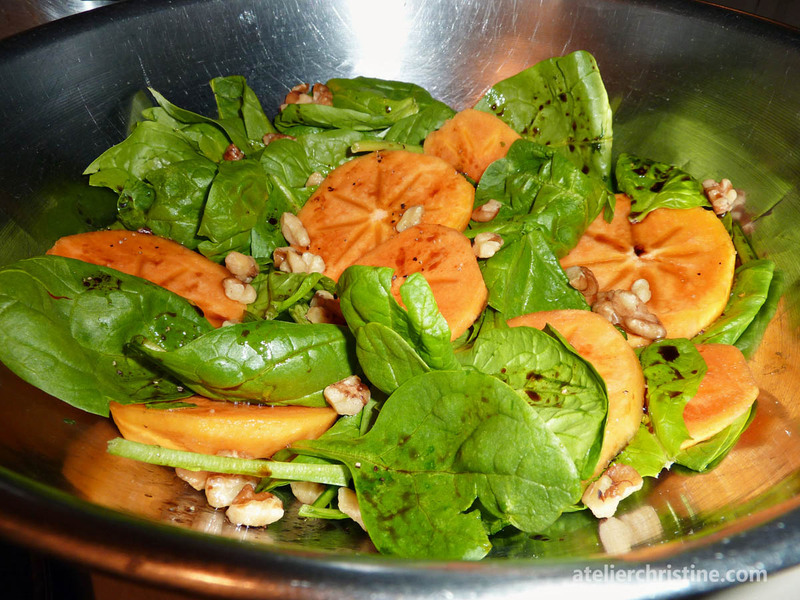 Top plated salad with this mixed salad. Top with shaved cheese and drizzle balsamic vinegar and olive oil to taste. Put the wheat berries in a saucepan and cover with water. Bring to a boil over medium heat, and then turn the heat down to low and simmer uncovered on low 45-to-90 minutes until tender. The grains should have a chewy texture and a nutty flavor. 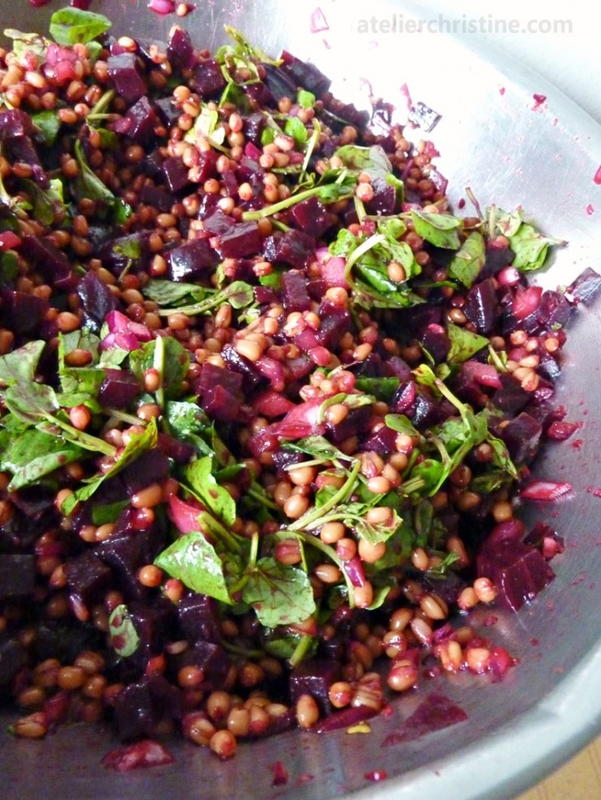 When the wheat berries are cooked, drain them, and then pour them into a large bowl with the red onion and celery. Toss with the olive oil and lemon zest. Add the vinegar and juice mixture, and all the fruit, and mix. Toss with the almonds, chopped parsley or mint, and with the salt. Add pepper to taste. Let the salad stand at room temperature for at least one hour before serving, to allow the flavors mix and soak into the grain. 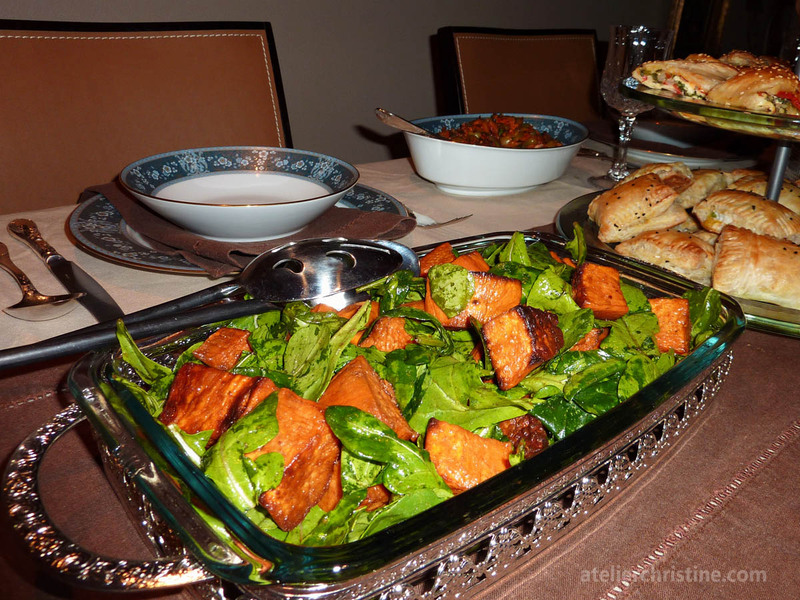 Serve warm or at room temperature (the salad can also be refrigerated for up to three days).